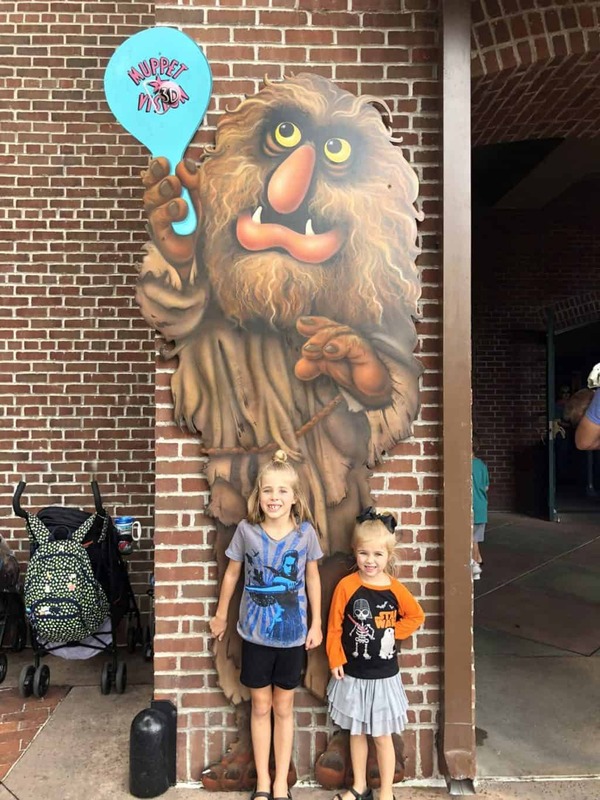 Fastpass tips and recommendations at Disney’s Hollywood Studios (2019). Hollywood Studios is one of the four theme parks within Walt Disney World Resort in Orlando, Florida. The Fastpass plus system works a little differently at Hollywood Studios, Epcot and Animal Kingdom than it does at Magic Kingdom. At these three parks there is a tiered Fastpass system. 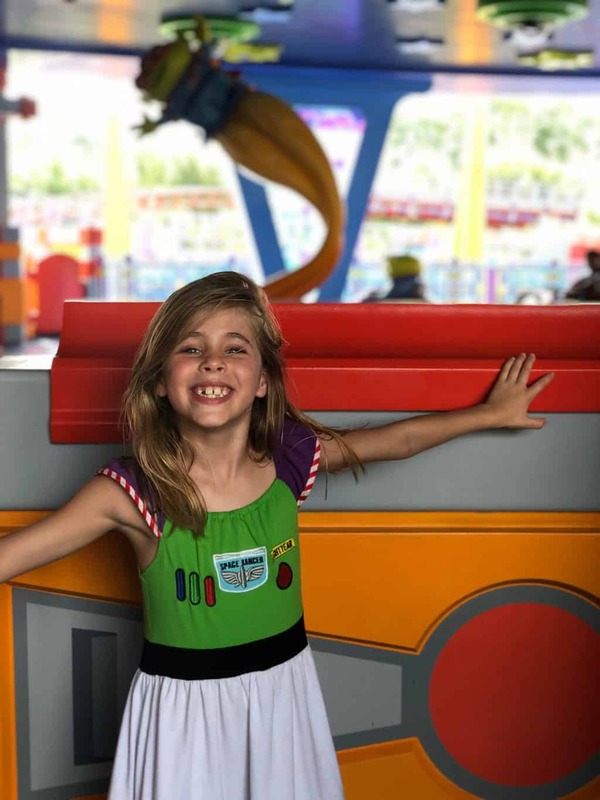 Which means you are allowed to select one attraction or show from the top category and choose from the second category for your remaining two Fastpass selections. 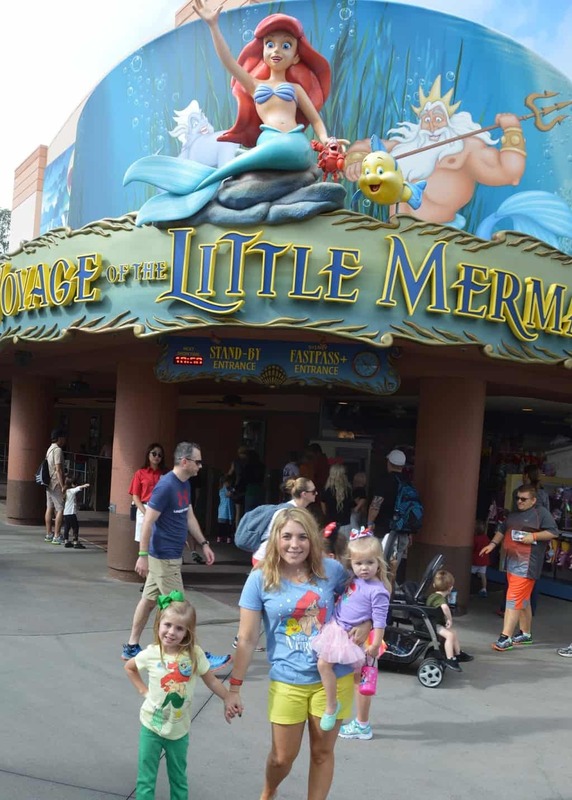 Hollywood Studios isn’t a must-visit for every family, the way that Magic Kingdom is. 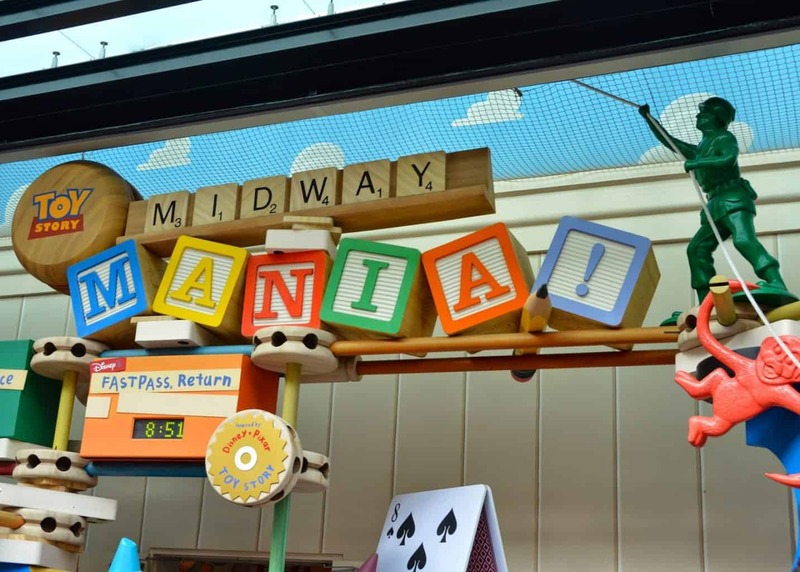 However, it offers the newest themed areas (Toy Story Land and upcoming Star Wars Galaxy’s Edge). 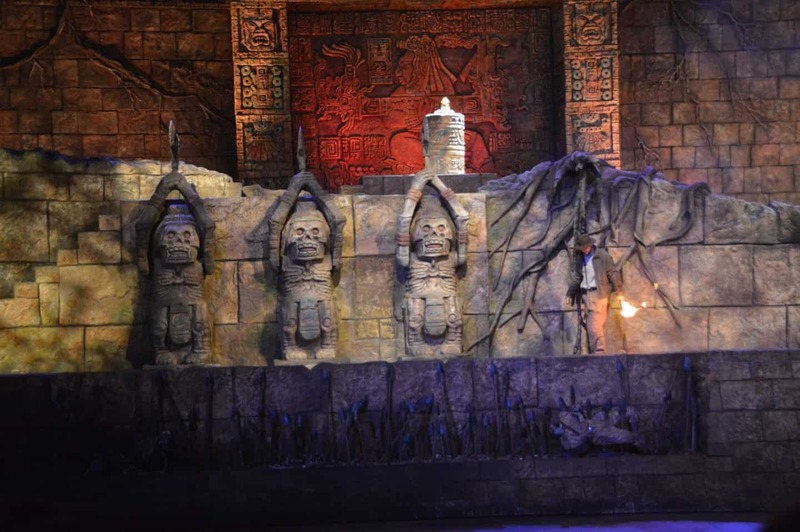 It also offers a lot of great thrill rides for older kids as well as fun entertainment choices for younger ones. 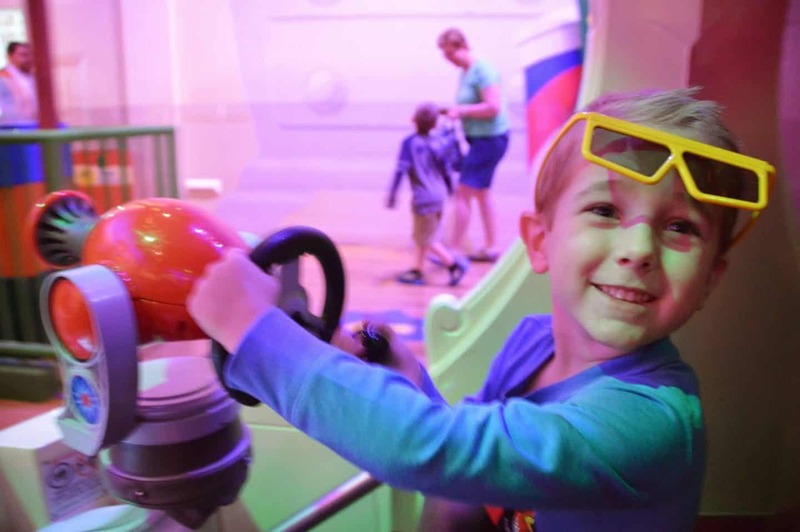 However, if your little one doesn’t enjoy shows…this park may not be for you as the majority of the actual rides do have a height requirement. 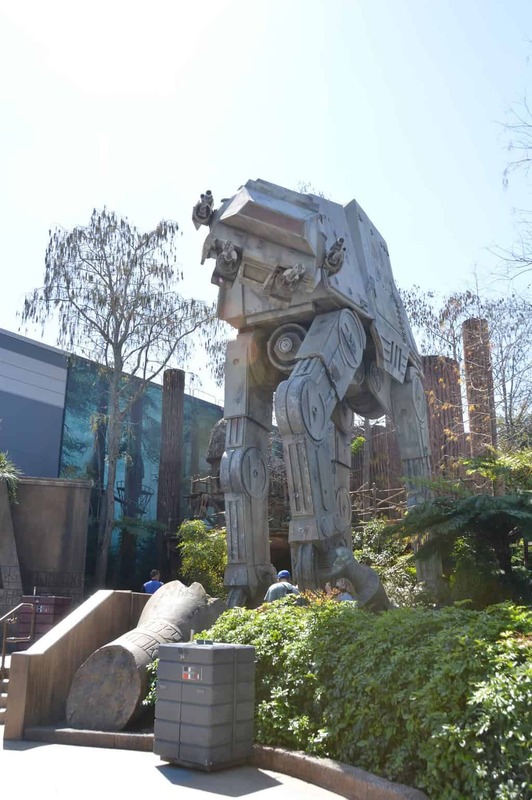 I typically recommend this as a half day park experience, but that will be changing once Galaxy’s Edge opens. Hollywood Studios also has one of the best night shows at any of the parks: Fantasmic and it is a must-do! 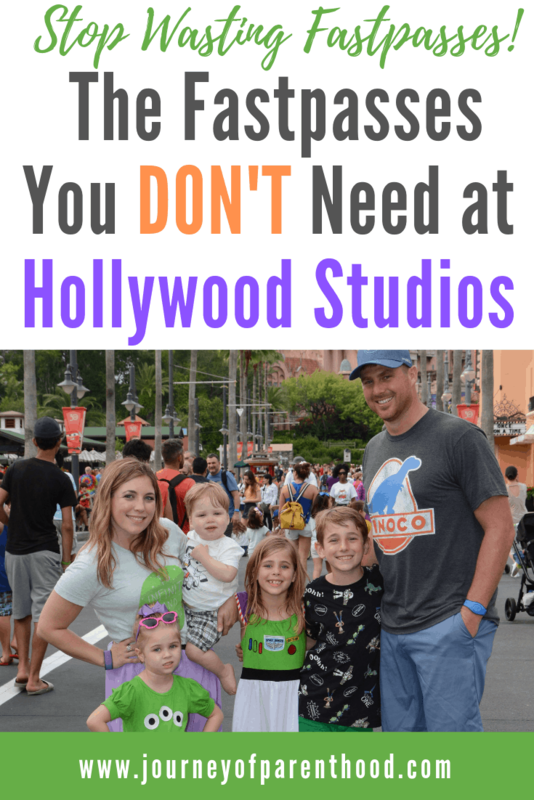 I’m sharing every current fastpass+ option for Hollywood Studios including my personal thoughts on each and which ones I think are worth utilizing a fastpass and which aren’t! 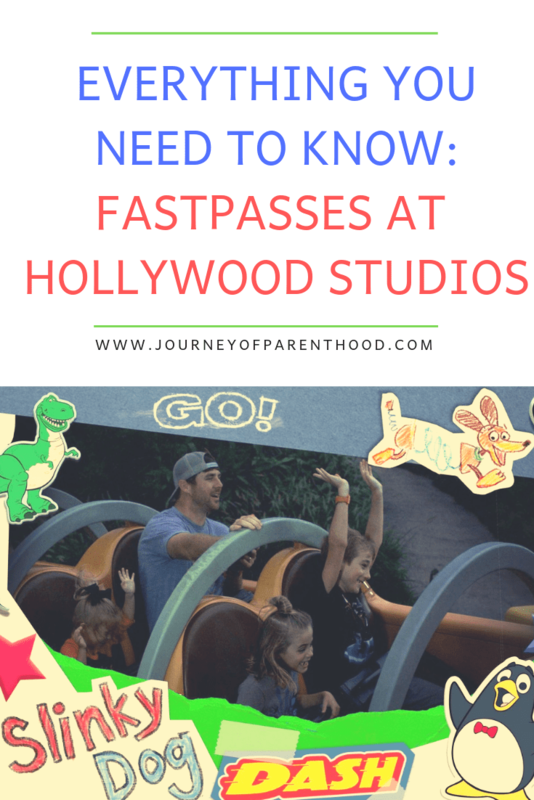 Be sure to read this post to have a full understanding of the fastpass system and have everything you need to know prior to making your selections. If you have thrill seekers in your group you will want to use their fastpasses for as many thrill rides as possible. With the tiered system at Hollywood Studios you will be limited in your selections. 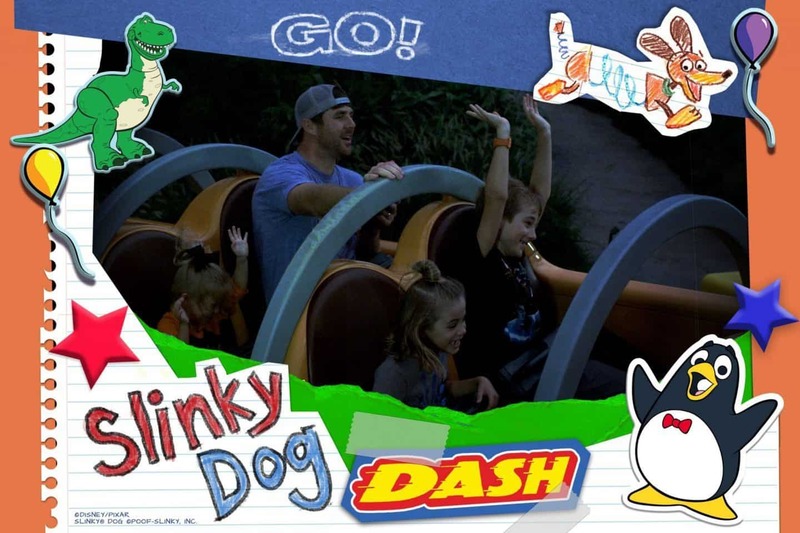 If your thrill-seekers are able to do the single rider line option then schedule your fast passes for the rides that don’t have a single rider and then plan to do single rider for the remaining rides that you don’t have a Fastpass for. This is a park where arriving early makes a big difference in your day. Right now everyone is running to Toy Story Land at opening (soon it’ll be Star Wars…) if you want to ride anything that isn’t within these two lands you’ll be able to literally walk on with zero wait at park opening. 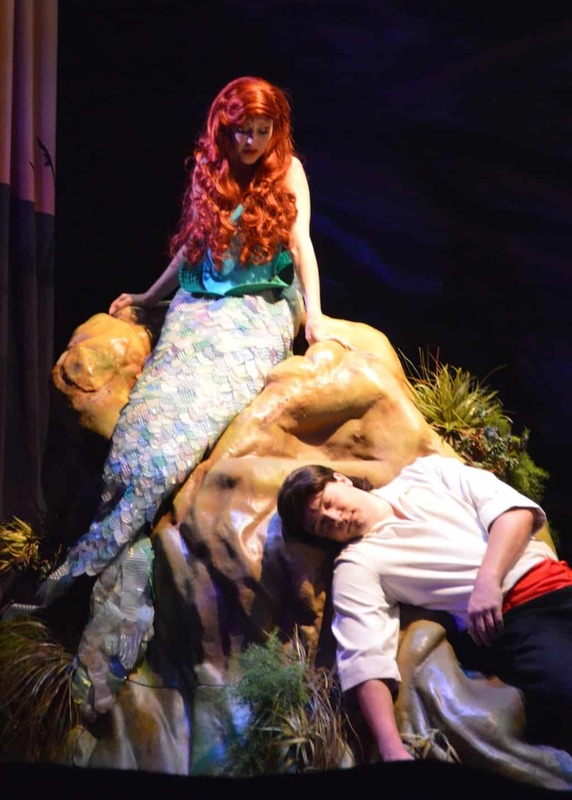 Shows reign supreme at Hollywood Studios. 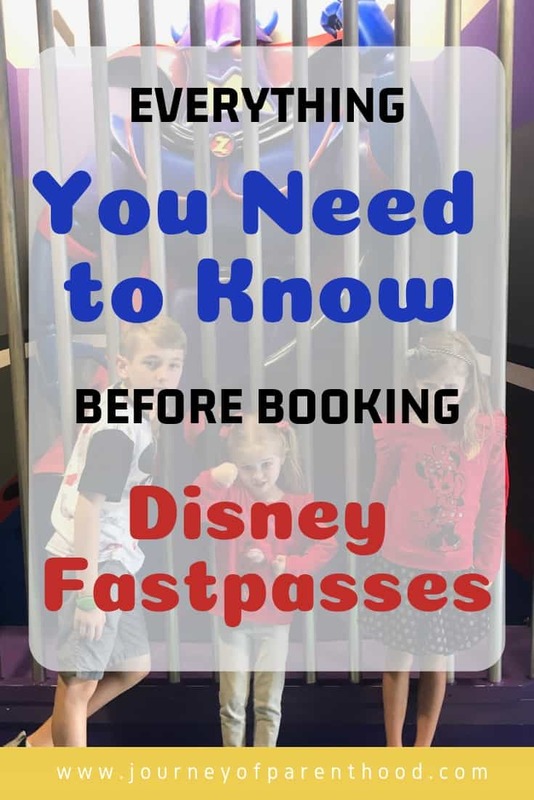 If you have a fastpass for a show, you have a short window of time to arrive in order to use the fastpass (basically at shows, people with a fastpass get seated first). So there isn’t a HUGE advantage to the fastpass in most show situations. Instead, just arrive early and wait in line to enter! As a reminder, you will be allowed to select ONE from these options! If you have thrill seekers, this is not the best option for your top tier Fastpass. If you arrive super early in the morning everyone is running to other attractions and you can easily walk onto this ride with ZERO wait! 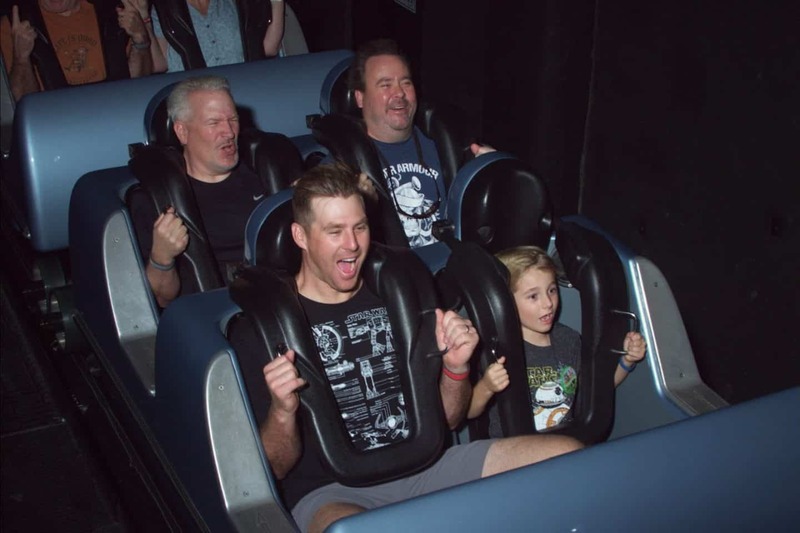 It’s a great one to do for the younger (but tall enough) crowd who don’t quite enjoy more intense thrill rides (or aren’t tall enough for them). This ride has a height minimum of 38″. This is THE current hot ride at Hollywood Studios (at least until Star Wars opens!). It’s a very difficult fastpass to get, so grab it if you can. It’s a rollercoaster so I haven’t ridden it myself but all of my family LOVES it. At park opening the line can easily be 2 hours long. So either grab a fastpass, arrive to the park wellllll before park opening or plan to wait a crazy long time for it. While this ride does not have a height minimum, it is a bit of a jerky ride. I always have Zach hold our baby when riding it because I’m scared I’d drop him with the turns and jerks. This ride is Disney at it’s best. It’s fantastic. It’s also an easy walk on at park opening due to everyone running elsewhere! 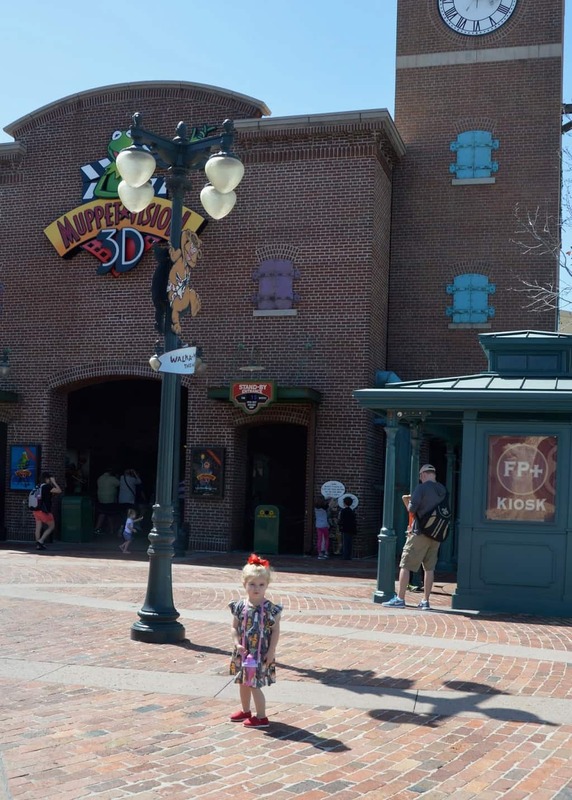 A great use of a fastpass if your crew is too short/too scared for the thrills. We could ride this all day and never get tired of it! This ride is not yet open but will be a tier one option once it’s available. 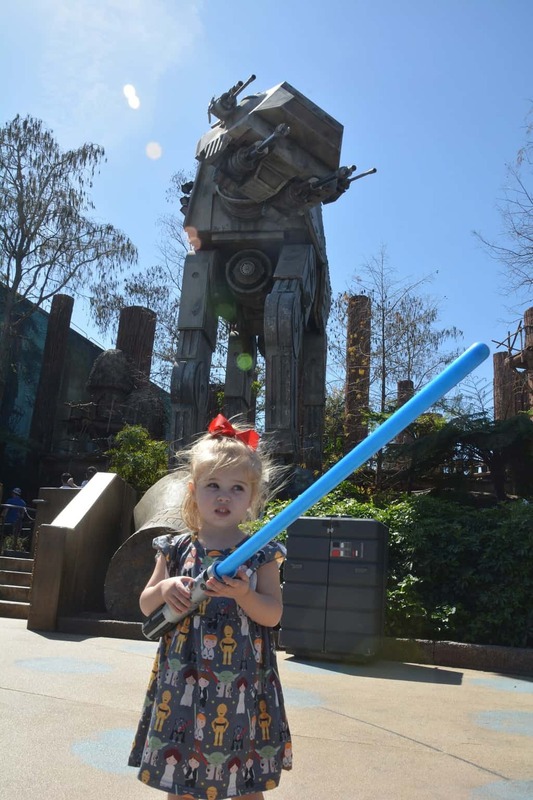 I’m hopeful it will NOT have a height requirement (as there just aren’t enough truly family-friendly experiences at Hollywood Studios in my opinion). It will be the very first ride ever featuring Mickey Mouse so it should be awesome! As a reminder, you will be able to select TWO from this category! 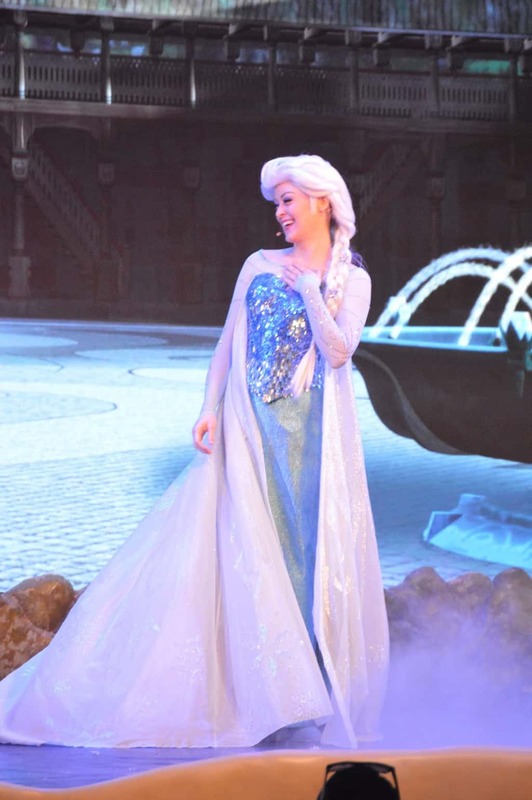 This live stage show has been running as long as the animated classic has been released in theaters. That’s a long time y’all. It needs an update, but is still a very cute show that is a shortened version of the Disney classic we all know from our childhoods. It’s a covered outdoor arena with lots of seating, arrive a bit early and you can sit anywhere with ease, no fastpass needed at all for this. 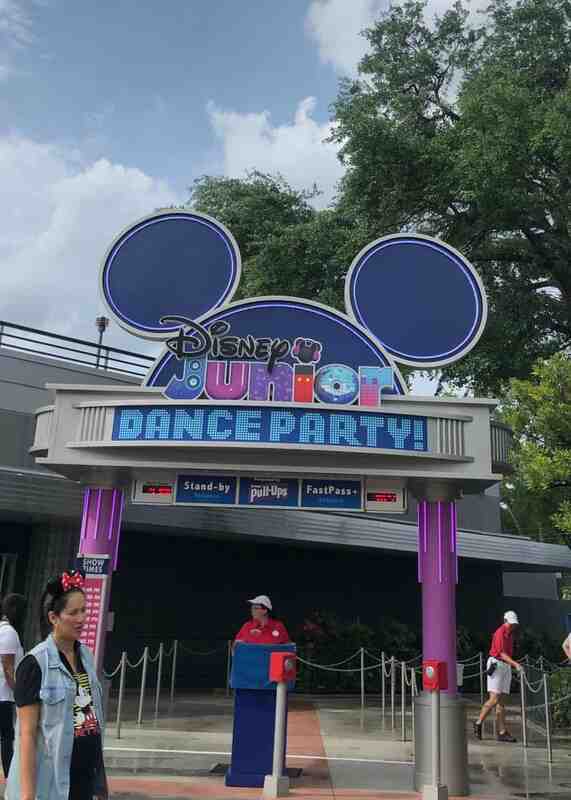 Disney recently changed a Disney Jr. experience into the dance party. 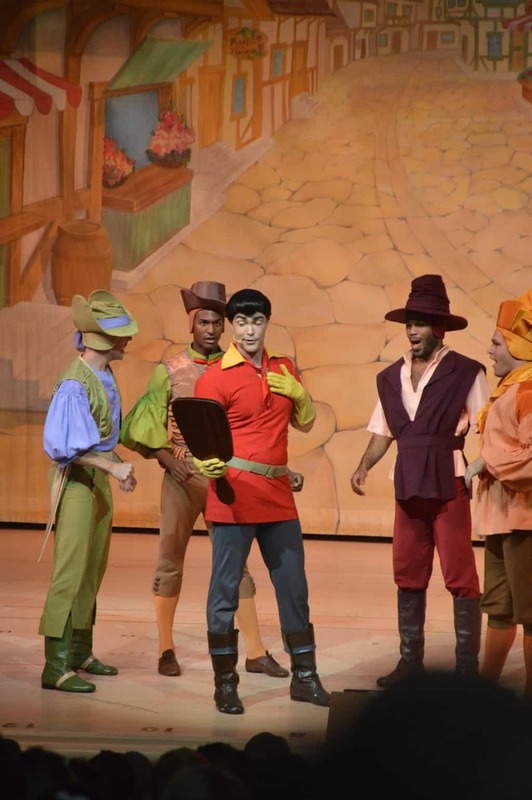 It highlights many of the Disney Jr favorite shows with visits from favorite characters. Another show where the fastpass isn’t really all that beneficial. Fabulous night show. A favorite for our family. 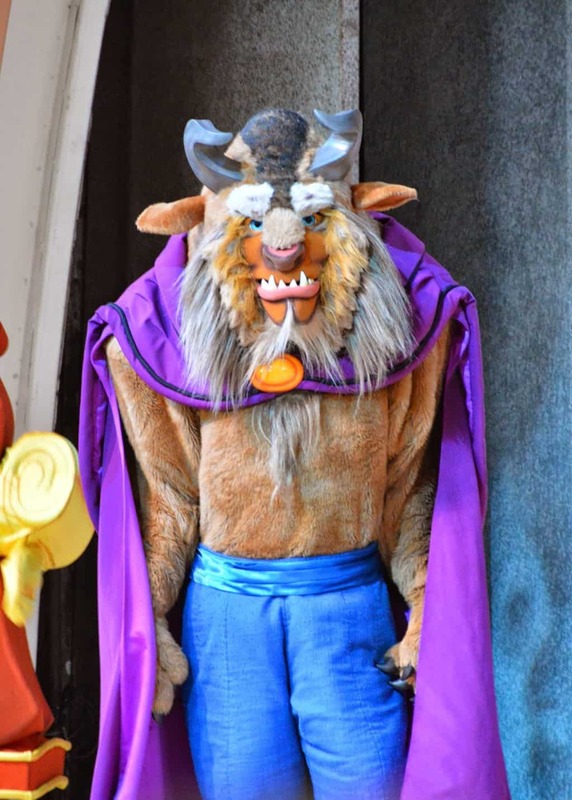 Many warn that it is a tad scary, but we didn’t have any issues with that (the storyline is about conquering fears and bad dreams – with a positive ending). It showcases a TON of characters and has some really need effects. 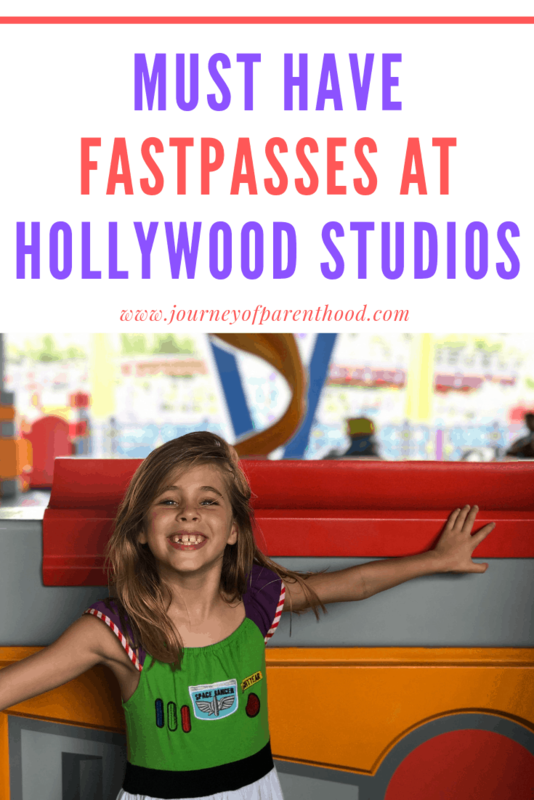 This isn’t a must-have fastpass but it’s a great one to have if possible. It’s nice to have the best seat in the house for this great show! Be warned also that if you sit too close to the front, you will get wet. We all also LOVE this show! If you have a Frozen fan it’s a must! 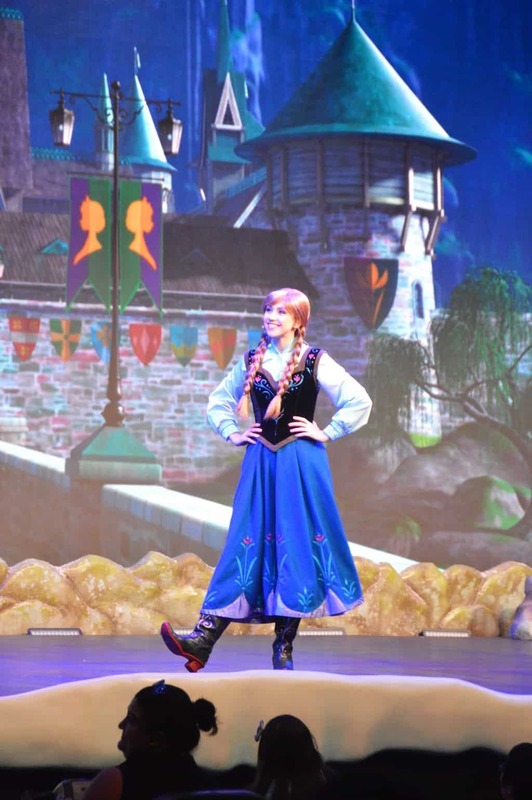 Another show, and a true sing-along with all the best hits from Frozen. However, it’s got a LOT of GREAT humor to it. We laugh out loud every time and many of the jokes are the kind where you will look at your husband and laugh between yourselves. It’s much more popular than Beauty and the Beast so it doesn’t hurt to have a fastpass for it if you have the option to use one! Another show in need of an update. Kye (my 10 year old) really enjoys it but it is a bit boring and runs a bit long. Do not use a fastpass for it and I’d really only recommend watching the show if you have a good chunk of downtime in your day. It’s my least favorite show at Hollywood Studios. This experience (3d show with glasses) is hidden in a less popular area of the park, I just personally checked it out for the first time recently and was pleasantly surprised. There is never much of a wait for it. There is no reason at all to use a fastpass. While it’s inside a theater and nice and cool, it’s not the best option for very small children who can’t handle wearing glasses and may be scared of the loud sounds. This is a favorite for my oldest kids. 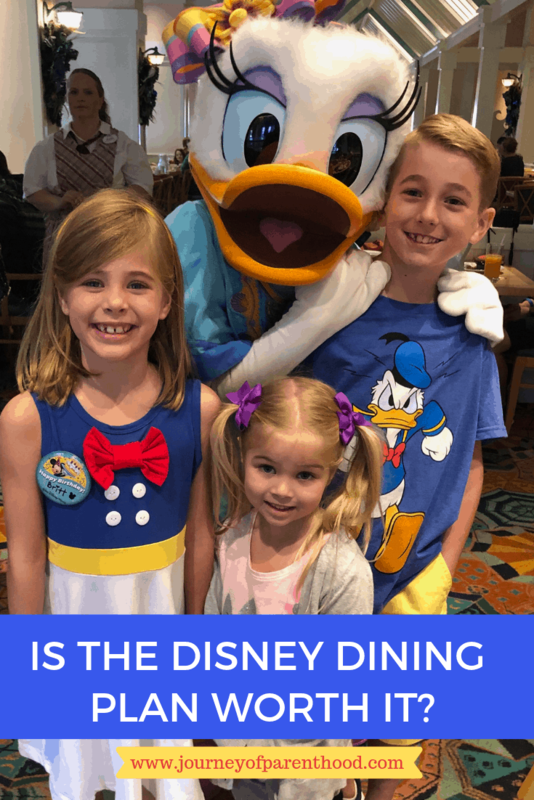 They LOVE it and it’s a must grab Fastpass for us every time we visit. Right now there is a Cars area set up right behind Rock ‘N’ Rollercoaster so I take the little ones over there to check it out while the older crew rides the rollercoaster. 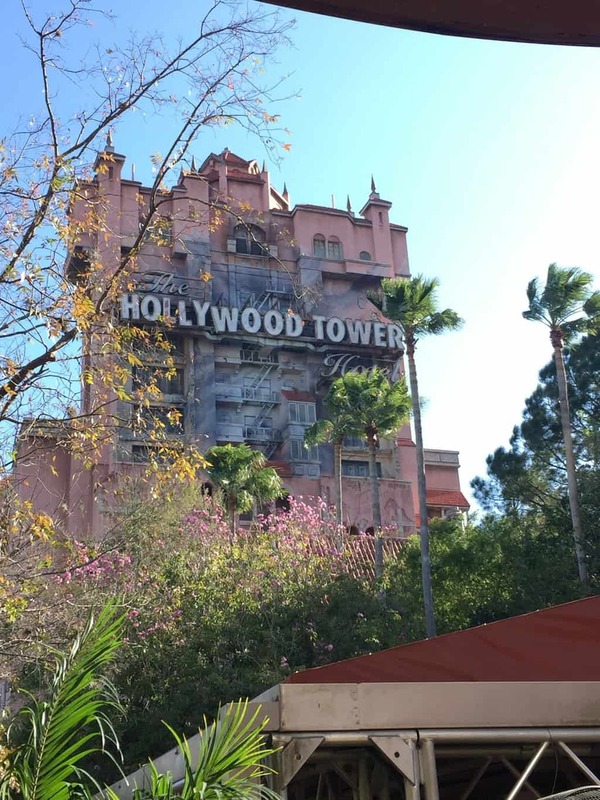 A must have fastpass if you have thrill seekers. Also a good one to visit at park opening as it’s a little less popular first thing right now with Slinky Dog being the hot attraction. Usually we can run to Slinky Dog first thing then still go ride Rock ‘N’ Rollercoaster after with very little wait. It also has an option for single rider which helps the line move faster, although you will be split up from your party. If you get motion sickness, DO NOT ride this. Whew I will never again! 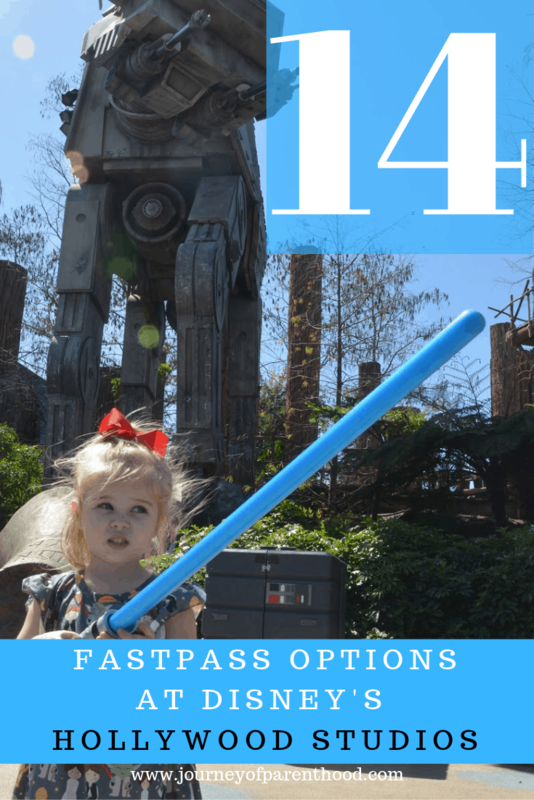 It is not as popular as the Toy Story rides or Rock ‘N’ Rollercoaster but is still a great fastpass to grab and I’d imagine it will become more popular when Star Wars Galaxy’s Edge opens since it will go with that theming. This is a Disney classic (not that I’ve ever been brave enough to face it!). A must-do at least once if you enjoy the thrill type of rides. Zach and Kye both enjoy it, Britt did it once and says she won’t again. I also don’t believe Tess loved it either. 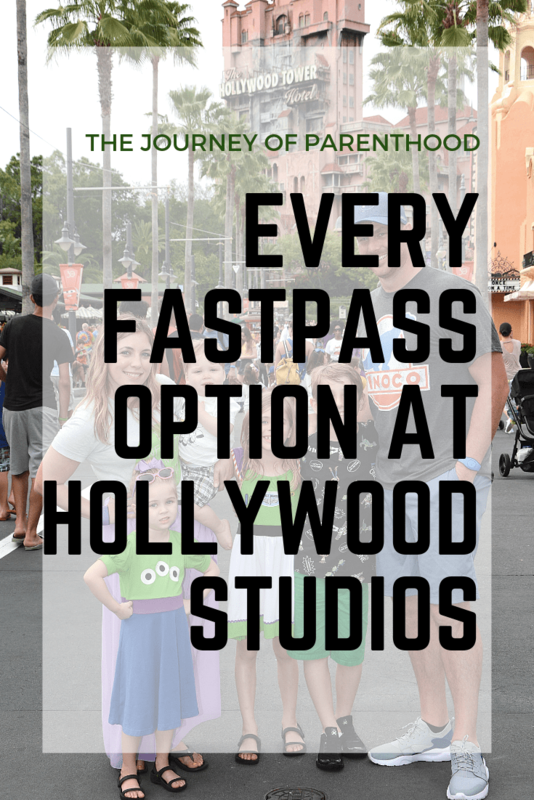 We will often grab a fastpass for it since Hollywood Studios has so few fastpass options. This one is also nicely located inside with AC! No glasses needed and the show has such a great variety of things going on that it keeps the attention of even the smallest, youngest guests. I took my son at 6 months old and he sat through it totally fine!